These comfortable, detached chalets and bungalows are set in the woods. They have ample space between them. They are attractively furnished and have plenty of privacy. All accommodations have an unenclosed garden with a terrace and garden furniture. 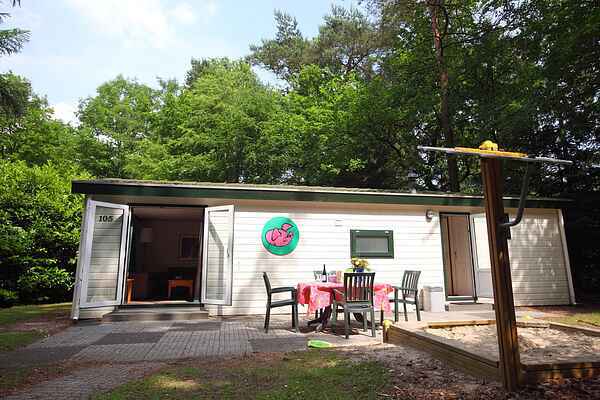 This type of chalet is child-friendly; the south-facing garden has a sandpit. There is a TV with DVD player and special safety features.